There are many cities and towns located in remote, inaccessible areas. Polar caps, tall mountains, wide oceans – all these places are isolated and difficult to reach. Still, many of these areas are inhabited and some even host larger settlements. Those are the most remote cities in the world. It is not easy to say which are the most remote cities in the world, because there are many different parameters to take into account. There are certain issues associated with this, because it is not always clear what is considered “remote” – or what is considered a “city”. “Remote” can actually mean many things. Remote areas are usually understood as those that are located far away from the civilization. These are towns built in the middle of nowhere, or so it seems: on the top of a mountain, on a glacier in the polar circle, on a small island in the middle of the ocean. However, settlements don’t have to be located thousands of kilometers away from the civilization to be considered remote. For example, a town can be very isolated if it’s basically inaccessible. This is the case of many settlements located in difficult to reach areas such as mountain passages. While the town itself is not that far away from civilization it is still considered remote because it is difficult to access. Then there is the issue of cities. How big a settlement should be to be considered a city? Does it have to have a certain number of residents or developed infrastructure? At which level a town becomes a city and what is the exact difference between the two? These are all questions that make it difficult to pinpoint which are the most remote cities in the world. That being said, if these parameters are taken as a whole, it is possible to see which towns and cities are indeed remote and isolated. It is interesting to know that these can be found all over the planet: on small islands, high mountains, in the middle of polar climate areas and other harsh conditions. This is a true proof of human adaptability and ability to survive even in the harsh climates and landscapes. While it is difficult to make a comprehensive list of the most remote cities in the world because of the unclear parameters of what makes a remote city, there are some good candidates for this title. There are certain cities and towns that are not only located in remote areas but are also almost inaccessible. They tend to be isolated and it makes it very difficult for potential tourists to visit them. Even with these drawbacks, most of these cities do get their share of tourists, mostly those who are fascinated by wild nature and remote areas. Adamstown is located on the Pitcairn Islands, currently an overseas territory of the United Kingdom. 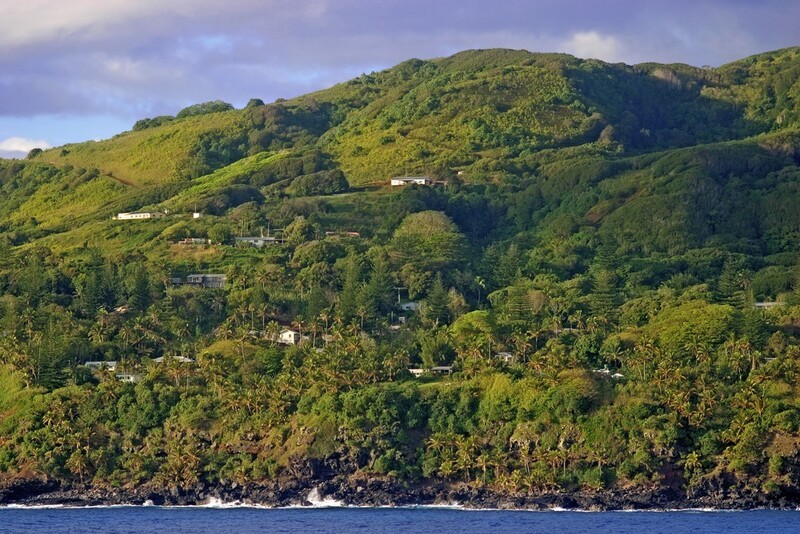 Pitcairn Islands are located in the Southern Pacific Ocean and are very difficult to reach. While it’s not a city in the strict sense, Adamstown deserves a place on this list because of its status as the capital. Being the only settlement on the Island, the town is named the capital despite having only 56 residents. In fact, it is named the second-smallest capital in the world, the first being Other islands in the group are inhabited. Despite its isolation, Adamstown has satellite TV and most residents still rely on radio for communication. The only way to reach Pitcairn Islands is via sea journey. Supai is a village in Havasu Canyon in Arizona, USA. It is often referred to as the most remote community in the US. 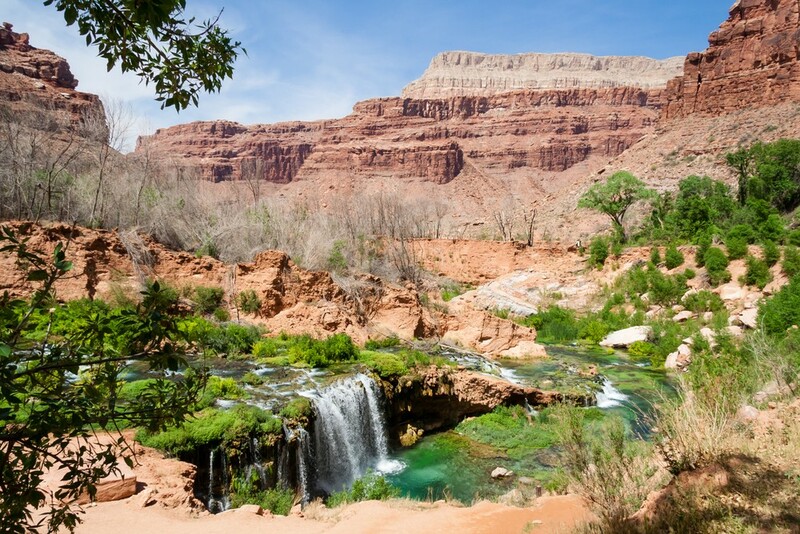 Located within the Grand Canyon, Supai is very difficult to reach. Home of the Havasupai Tribe, the village has a population of about 200 people. There are no roads to reach Supai so the only way to visit the village is to hike along a 13 kilometers (8 mile) long trail. Another possibility is a helicopter, but this is usually reserved for the urgencies. Supai is so remote that the nearest place to get food and water is located over 60 miles away, in Peach Springs. Mules are used to this day to deliver the mail to Supai. Greenlad is known for some of the most remote settlements in the world. This northern island is almost completely covered by ice, except for a narrow coastline and some other places. It makes its towns remote and difficult to access. 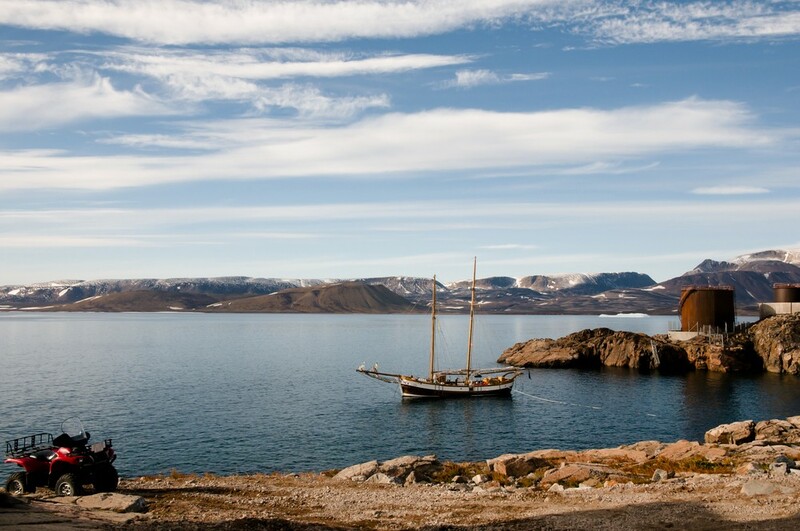 One of the most remote towns in Greenland is Ittoqqortoormiit. 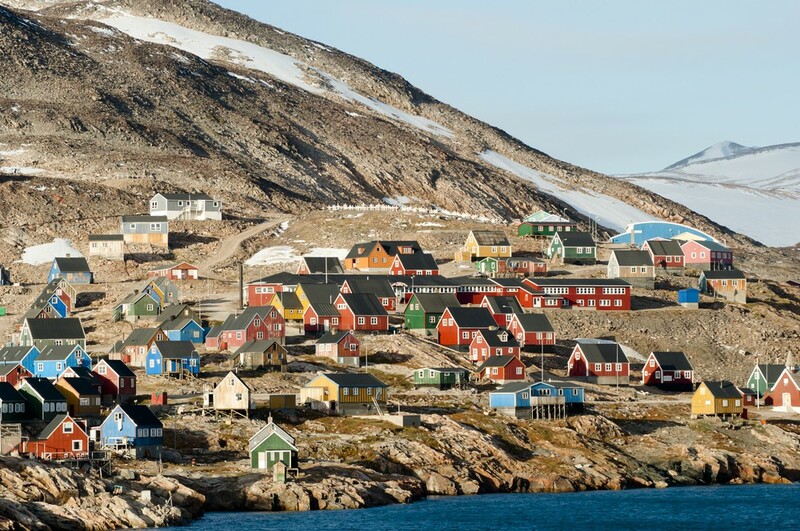 Located on the eastern cost of Greenland, this settlement has about 450 residents. This is an isolated place without many visitors. The town’s residents depend on hunting and fishing, but this is not the only way to acquire food. Ittoqqortoormiit actually has a grocery store and a few convenience stores so residents can buy many necessary items. There is also a small historic museum. While this is a very remote settlement it does get its share of visitors. There are some tourists attracted to the remote areas who want to see the way of life in an isolated place. Other tourists come to Ittoqqortoormiit because of its wilderness. There are some exciting opportunities offered in this small town, such as dogsledding and kayaking. Rapa Nui (Easter Island) is famous for its monumental stone statues. The statues, depicting typically only a head and torso, are known as Moai and there are almost 900 of them. Easter Island is located in Eastern Polynesia and officially belongs to Chile. This is a volcanic island with a rich history. The makers of the Moai lived on the island in the 10th-16th century but today, the Island is mainly visited by tourists. Its remote location makes it inaccessible to many but the most persistent ones, but there is a steady flow of visitors interested in the monumental stone statues. 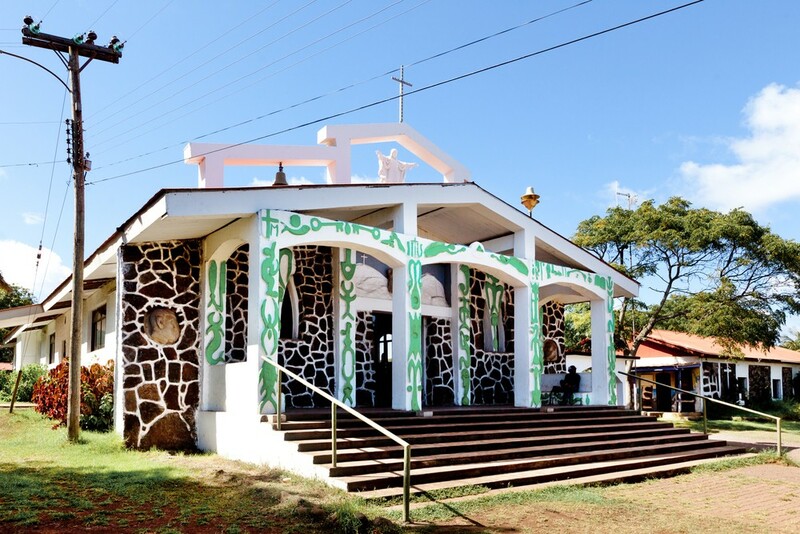 The main town in the Island is Hanga Roa. It is located on the west coast of the Island, situated between the now-extinct volcanoes Terevaka and Rano Kau. While officially part of Chile, Hanga Roa is located about 3,700 kilometers away from the country’s capital Santiago. The city has about 3,300 residents, which makes almost 90% of the total population of the Island. 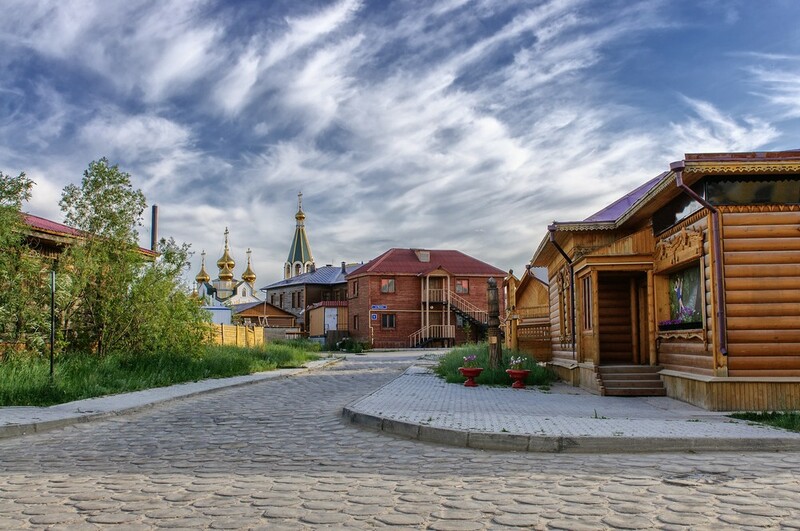 Yakutsk is situated along the shores of the Lena River and it is one of the most remote cities in the world. It is located in the Sakha Republic in Russia, about 450 kilometers south of the Arctic Circle. As such, it has a harsh climate: this is one of the coldest places to be. It is not unusual to experience temperatures as low as -50 Celsius in Yakutsk, and there were even instances when the temperature fell under -60 Celsius. This is clearly not a welcoming climate to live in, so Yakutsk is not only located far away from other cities but is also difficult to access. The city does have its airport: two, in fact, the Yakutsk Airport and Magan Airport. Despite this, the city is difficult to reach on ground, especially in a smaller vehicle. The city is famous to be the coldest major city in the world. The population of Yakutsk is about 300,000 and the city is known as a major supplier of diamonds. It is a known fact that there are many remote areas in Canada, particularly on the north. One of the most inaccessible places is the territory of Nunavut. 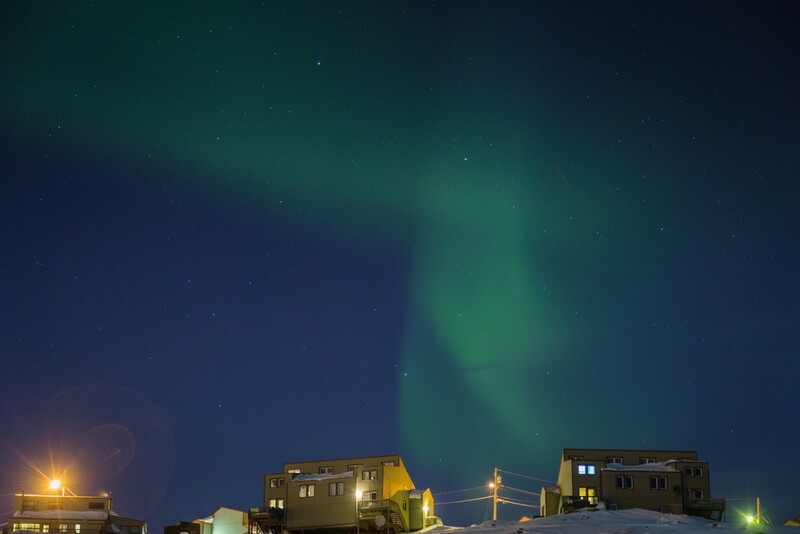 Nunavut’s capital, Iqaluit, is known as one of the most remote cities in the world. With the population of about 7,200, it is not really considered a city but a small town, but as a capital of a Canadian territory it sure deserves a place on this list. The majority of residents are the Inuit people. There are not many visitors or tourists since the town is difficult to access. That being said, the town does get its share of visitors. If you are interested in exploring Canadian wilderness Iqaluit may be a great base. It has several hotels and other accommodation options. Iqaluit is also known as the only city in Canada without a highway. Deception Island is located in the South Shetland Islands archipelago in Antarctica. It is a home to several bases and small settlements situated on the shores of the island. The island is actually the caldera of an active volcano. 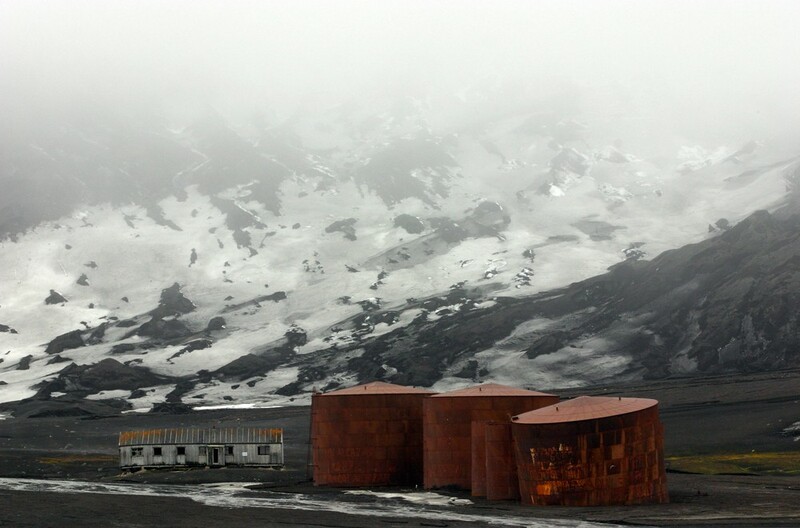 Once a whaling station, Deception Island is a home to two scientific bases, Argentine and Spanish. It is also a popular tourist destination for those who wish to explore Antarctica and do some penguin watching. You can even take a hot bath in a sand pool on the Island. Do not confuse this place with a fun tourist destination, though. The former whale station is located in a remote place within harsh climate conditions. I may not be as bad as some other places in Antarctica but it is sure unpredictable. The only way to reach Deception Island is through one of the Antarctica tours. The general isolation of the area makes it difficult to access. Svalbard is an Artic island that belongs to Norway. Technically an archipelago, the islands are surrounded by icebergs and glaciers. This is a remote area that is not easy to access, so it is not surprising that any settlement in Svalbard has to be isolated. 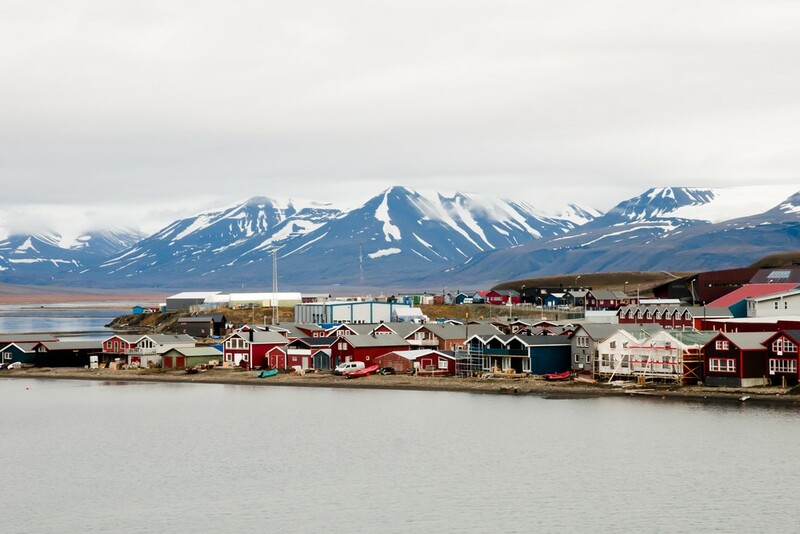 Longyearbyen is the capital of Svalbard and it has around 3,000 residents. The town also gets its share of visitors who use it as a starting point to explore Svalbard and the surrounding area. Longyearbyen is known as the northernmost settlements in the world. The area is rich in wildlife, particularly reindeer and polar bears. There are also many seals and birds accustomed to the cold climate. Polar bears tend to be the major danger to the people of Longyearbyen since they are known to attack people. The area gets most of its visitors during the summer, when the weather is not as harsh as in other seasons. Hadibu is the capital of the small island Socotra (other spelling: Soqotra) that officially belongs to Yemen. Situated in the Indian Ocean, Socotra consists of four small islands. 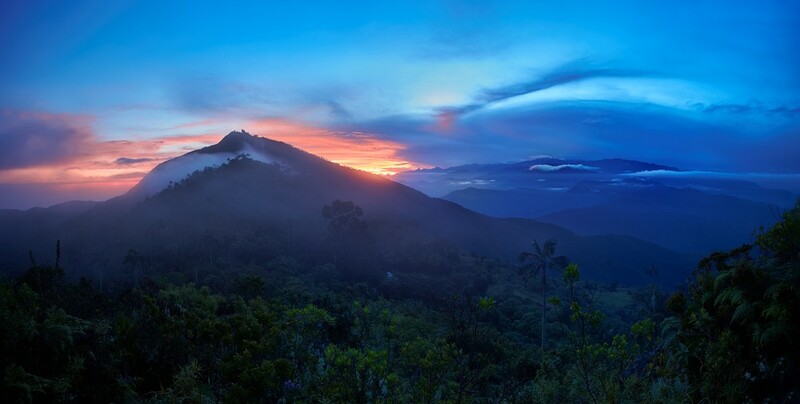 This is a tropical place known for its remote position and rich plant life. There are over 300 documented species of plants in the area, some of which can’t be found anywhere else in the world. One of the main reasons for this richness of plant life is the island’s remote location. 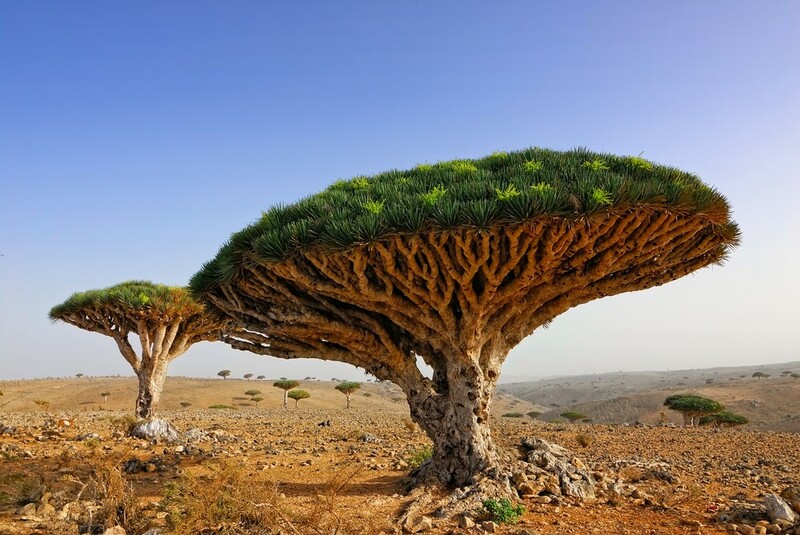 These isolated plant forms make for a very effective sight to the visitors, so it is not surprising that Socotra was often described as “alien-looking”. Because of this, most visitors to the city of Hadibu are those interested in the area’s interesting plant life. However, Socotra also proves to be an attractive place for those who wish to explore the most remote cities in the world. Barrow (Ukpeagvik) in Alaska is one of the most remote cities in Alaska and in the world. 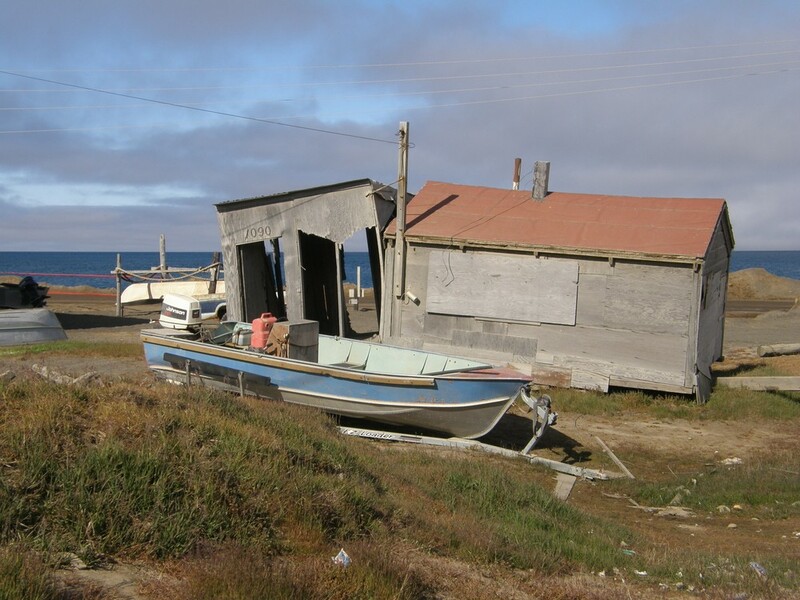 This is the northernmost community in the USA and is known for its remote position. The city has a population of about 4,500 people, but it does get its small share of tourists and other visitors. The city and the surrounding area are known for harsh weather and low temperatures. This is an important thing to keep in mind if you wish to visit Barrow: it is best to do this only during the warmest months of the year. Due to its geographical location and climate Barrow is known as one of the coldest and most remote cities in the world. However, it is interesting that temperatures in Barrow are not as bad as they could be: the surrounding terrain actually makes the city a bit warmer than the larger area in which it’s located. The city is surrounded by the Arctic Ocean on three sides while a flat tundra is located on the fourth. This means that there are no valleys where cold air could settle, which results in a bit higher temperature for Barrow. Edinburgh of the Seven Seas is not at all like the more famous Edinburgh. This one is located in the South Atlantic, on a remote little island in the middle of the ocean. Strictly speaking, Edinburgh of the Seven Seas is not a city: it is a small community of about 300 residents. However, it sure makes one of the most remote towns on the planet, so it deserves to be on this list. The town is located on the small island Tristan da Cunha in the South Atlantic. It got its name as an honour of the Duke of Edinburgh, who visited the island in 1867. Today, the town is mainly known as “The Settlement” among people living on the island. The island is also known for its other attraction, an active volcano located in the centre of the Island. The only way to reach Edinburgh of the Seven Seas is through a six day boat ride from South Africa. La Rinconada is a city located in the Peruvian Andes. It is famous as the highest human city in the world: the city is built about 17,000 feet above the sea level. This city is not only remote in terms of geography, but also technology: it has no running water. However, this doesn’t prevent people from living in La Rinconada: the city has about 50,000 residents. The main reason so many people are drawn to this city despite the remote location are the gold mines located under the glacier La Bella Durimiente, located just above the city. Medog is a city in the Motuo County in Tibet, which belongs to China. Surrounded by high mountains and without a proper road, the city is difficult to access. Actually, there is a road to Medog, but it is only open for 8 months during the year due to heavy snowfall. This situation makes Medog one of the most remote cities in the world. With a population of over 10,000, Medog is a beautiful city known for the stunning surrounding landscape. Despite these advantages, the city has certain drawbacks due to its isolation: there are problems with medical care and education because the city is so remote. The situation is improving, though. The road was built a few years ago and while it is not accessible throughout the whole year it is still better than the previous way of reaching the city, through narrow mountain passages. Medog is also starting to attract some tourists, which prompted the city to offer better accommodation and Internet access. These improvements benefit not only the visitors but also the residents of Medog.